I was sold on these cookies when I saw the ingredients…lots of butter and brown sugar! What’s not to like, right? When I read the comment that said they freeze well, I made them. Gorgeous and scrumptious! I mail big boxes of Christmas cookies to my children and being able to freeze them helps me out so much. This cookie definitely will not be limited to Christmas! Many thanks. This exact recipe has been passed down through my family for years! 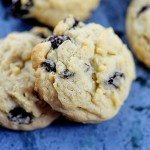 Many of the recipes I see online are very different than this one; so I was surprised when I came across it! 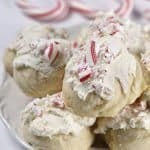 I learned how to make them from my great aunt who always made BATCHES of these for the whole family around Christmas. A few years ago, I took over the tradition. She is no longer able to make them due to her age. Not only do I continue making these for my family , but I make them for my co-workers around Christmas. They start asking me around Halloween, “When are you making cookies?! ?” I’m actually making two batches now! I love this recipe and everyone I know that has tried them do too! I love that these are a tradition in your family as well, Amanda! They are such a delicious cookie and everyone loves them! How sweet of you to make them every year for others! Does it require salted or unsalted butter? Just curious, thank you! Bravo! I am having so much fun with your recipes! And, these do spread out…so ladies and gentlemen…pay close attention and remember less is more with this one! How long will these last in an airtight container? And can I use quick oats or should they be old fashioned? 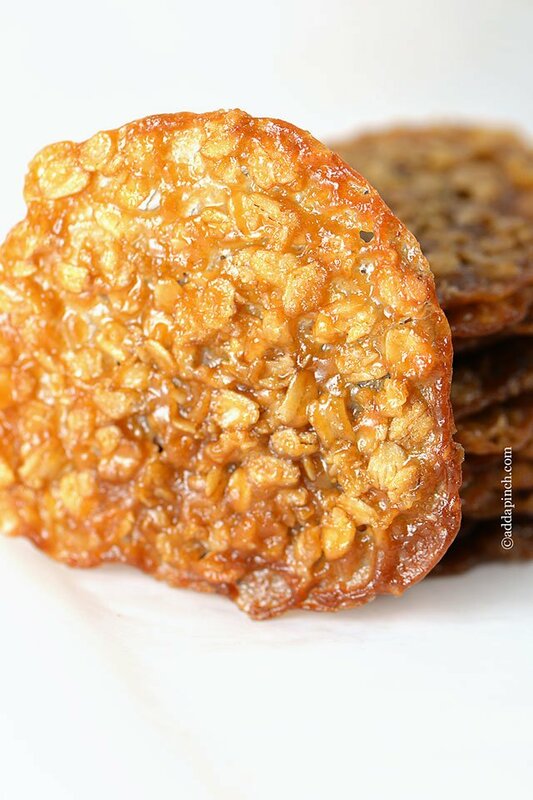 You’ll want to use old fashioned (or rolled) oats for these cookies to get the proper consistency and end result in the cookie. Hi I’m just about to make these and I only have old fashioned Quaker Oats…. are they ok to use?? Most of mine were still quite gooey. Should I cook them longer on the stove? Or longer in the oven? No, don’t over bake them, they will stiffen up as they cool. If they are gooey, it might be due to humidity. Mine did the same thing on a day that it was raining and quite humid. Usually they are crisp. I found out mine were gooey because they were undercooked. They were just right when I used 7 minutes for my oven. Thank you for sharing this! We love it especially my two teenage boys. I also added cranberry and pistachio. They are so good. These are awesome. Very easy. Great right out of the oven. When I served them the following week I put them on a cookie sheet and parchment paper at 350 to crisp them up. Awesome! With one batch I didn’t here the timer go off. When I looked at the cookies they were almost as dark as chocolate. I still pampered them to see if I could save them. Surprisingly they were really good. Some people wouldn’t like them. But they had a completely different, but good, flavor characteristic. Made these!!!!!!! Love them!! But they ended up more gooey than I expected. I thought they would be hard and crunchy. I love these and wanted them more gooey and chewy. Mine came out crispy and break really easy. Dont know how to get them like yours. Oh my word!! These are awesome!! I just sampled one fresh out of the oven…it’s very reminiscent of toffee. Mine have a nice combination of chewy and crisp. What an excellent way to use up my leftover oatmeal! Great recipe, very easy and all made in one pot, so no sink full of dishes to clean! BONUS!! I will definitely make again! Thanks for the recipe! I’m so happy you enjoyed them, Christine! Thanks so much! Have you ever tried rolling them and stuffing them with anything? This recipe was handed down to me from my grandmother. I took over the task of making them when she no longer could. My daughter has rolled the cookies when they are just out of the oven & filled them with canolli cream after they cooled. Amazing! 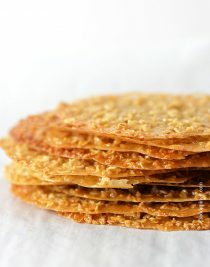 **do not try making these in warmer weather, they do not crisp up, even in an air conditioned home! OK my son ate them all and now Im having to make more! he said they are the best ever! thanks again and I can see why they are your husbands fav! I made them using a all purpose gluten free flour. If. Substituted tablespoon for tablespoon. They turned out good, but I had to increase the bakery by time (could have been due to the humidity of the day). They turned out crisp and wonderful!!! I’m so glad you liked these! They are a special cookie to my family. Hi, can I refrigerate the dough so that j don’t have to bake all 6 dozens at the same time. I would half the recipe if there wasn’t just the one egg in it. These are amazing! I made them for my family and my cousin ate 20. Do you think I could make these with mashed banana instead of egg? A friend is allergic. Hello Asher~ A good substitute for 1 egg is a teaspoon of cornstarch. Hope this helps! How long can I freeze these for and still be good to eat? My mom has been making these for years. Only we call them Danish Christmas Cookies. Our recipe is different. It is equal parts Oatmeal, Sugar and Butter. They are so delicious and the scraps make a great topping for ice cream. I look forward to Christmas Eve and the cookies to come out. I’m sure they are delicious! I love cookie traditions, don’t you?! Thanks Bethany! I always keep salted butter on hand since it has a longer shelf life, but you can use whichever you prefer. If you use salted butter omit the salt in the batter. That is too much salt. Did you use salted or unsalted butter for the recipe? You can use whichever butter you prefer, but I generally keep salted butter since it has a longer shelf life. When you say cook until the butter is melted and the mixture is smooth, do you mean just until the butter melts and there is no dry brown sugar left or are you actually supposed to cook the mixture until the brown sugar is dissolved and there is no grainyness (I think I made that word up) left in the mixture? I have the same question. 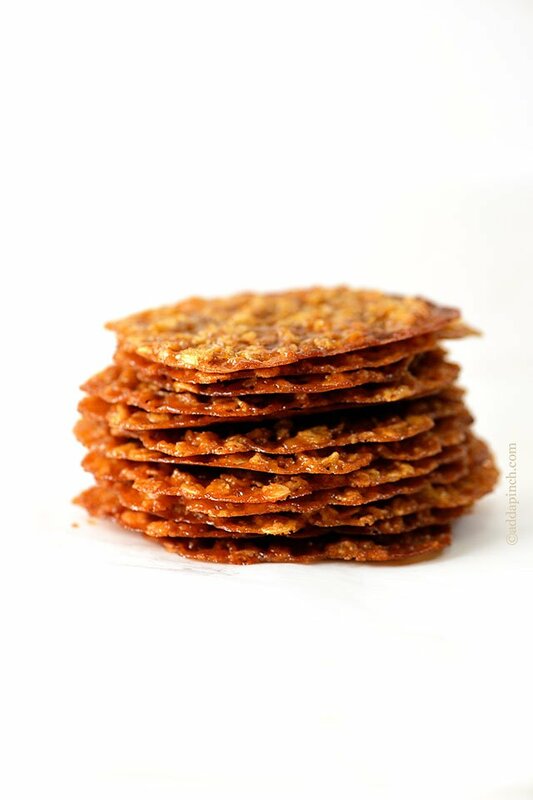 I just made a batch of these and they are good but the response to them when my spouse taste-tested was “Oh these taste sort of like peanut brittle but with oats”. I think I may have cooked the butter and sugar too long. I left it on the burner well beyond the butter melting. I read the smooth to mean until the sugar was completely dissolved. Also, I only had one stick of real butter and one of margarine. I think the margarine made the batter a little thinner. Hopefully we will hear back from Robyn. This batch is going to the office – I plan to make another batch to take home for Christmas. I’ve been making this recipe for years. You cook the butter and sugar just until the butter melts. It should be like a paste. If you cook it any longer, then it turns into a candy like consistency. I’ve been searching for this recipe for years! I had a friend who’s grandma made them, and I’ve tried different versions over the years, trying to get it right. I’ve been making the Mrs Field’s version for the past couple of years, as I didn’t have this one.. They’re good, but they don’t do that see-through, melt in your mouth thing that I love.. They just don’t get thin enough.. Can’t wait to scrap that recipe and start making these again! Oh I hope you enjoy them! We love these! Thanks so much Nicki! I saw an comment/question from Jason a few days ago and wanted to restate to get your clarification. When you say the butter and sugar should be cooked until butter is melted and mixture is smooth – do you mean until the sugar is fully dissolved or just until the butter is fully melted? 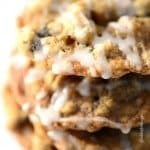 I just made a batch and want to be sure I have this down correctly because I love these cookies! My first batch turned out good but the oats didn’t spread out to the edges. I also used one stick of butter and one stick of margarine because that is what I had on hand. I don’t usually use margarine but had it for other holiday baking needs. I believe that may be why they spread a little more than I expected. Margarine is a bit softer and my next batch will definitely use the real thing! I’ve been baking fir a long time and know not to shortcut or substitute. 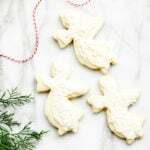 I chose this recipe for Christmas baking because it looked so quick and easy- just melt the butter and sugar, add the oats and the rest and go! Boy, was I wrong! And what a disaster! I used parchment paper and put about one teaspoon of dough for each cookie, spacing about two inches apart. I followed the recipe that suggested waiting 30 seconds after removing from the oven before putting on a cooling rack. When I removed the first batch from the oven, it was one solid mass instead of individual cookies. I waited one minute, then tried separating the mass into individual cookies. No luck. They were gooey, messy balls. So for the second batch, I used a much smaller portion for each cookie-probably about 1/4 teaspoon. . They still spread put a lot but not as much as the first batch. I tried removing them from the paper after two minutes-too soft and gooey. So I ended up letting them completely cool-6-7 minutes on the paper before removing them. Even then, it was labor intensive- sliding a knife under each one to separate it and try not to destroy the shape. After four batches, I still had over half the dough left. At this rate, it was going to take me 4-5 hours to bake it all. So I gave up and threw the rest of the dough away. It definitely wasn’t a time saver and, although the cookies taste great, they’re so thin and delicate that they’re not ideal for putting in Christnas goody bags. They either fall apart or stick to the other cookies. Definiteky would not make these again. Oh no! I’m so sorry they didn’t work for you, Donna. These are very thin and delicate cookies and I wouldn’t recommend adding them to goody bags. They are gorgeous is gift boxes, however, since they are so delicate. Here are a couple of thoughts that might be helpful. Make sure that you are using butter and not margarine, I’m sure that you are, but just in case. Also, for butter, I like to use Land o Lakes as I’ve found that many store brands of butters have a higher water content that can cause issues in baking. Yes- I absolutely NEVER substitute margarine for butter in any recipe, especially baked goods, and also only use unsalted Land O Lakes. Thanks for the reply. I’ve never made a cookie like this before… but always have wanted to… Is 3TBSP of Flour correct?? Thanks!! Yes, that is correct. Hope you enjoy them! Could I add raisins? If yes, how much? These cookies are extremely thin, I’m not sure raisins would hold up in the cookie. I love these cookies. If you make them small, you can sandwich two together with some melted chocolate in between. Sooo delicious and makes them a little hardier for packing as gifts! Just saw this recipe. Reminds me of when I was around 10 years old and wanted to make cookies. My sisters and I mixed up a batch with just whatever we had. When they were done they were just as you described and looked very much like your picture. They were delicious. We knew we had left something out of our recipe because of how they spread out so much. We probably didn’t have enough flour. I’m 70 years old now and look forward to trying your recipe soon. I bet they were delightful, Carolyn! This recipe was shared with me from my mother-in-law and it was given to her. It is definitely one of our favorites. Yay, I finally found the recipe that my mother used. 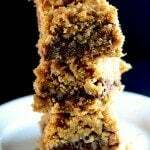 She made there for me when I was small( I am 66 yrs old now) My mom did not save this recipe as she always knew the ingredients by heart and I have tried other versions but… Eureka! I believe these are identical to hers! She was Dutch and a wonderful cook. Thanks so much for sharing. Oh, she also used ground almonds at times and drizzled chocolate over them to change the recipe up but these plain one have always been my favorite. Hi Robyn…I couldn’t find the recipe I’d used to make these cookies previously (just recently saw it as that was the inspiration to make them for today’s guests), so an internet search led me to you. I made a HALF batch of your cookies last night, so I basically had double the amount of egg called for. I stepped away from the stove for a minute while dissolving the butter/brown sugar and came back to find it boiling, so stirred in the oat mixture and portioned out the batter. After removing the baked cookies from the oven, I had to leave them on the baking sheet for a full 10 minutes (I used silpats) before I could remove them without turning them into a blob of caramel. I allowed them to cool fully, then placed them in the cooled oven on the cooling racks overnight. This morning I find that they are still a little more chewy than crispy, but that’s not necessarily a bad thing. Remind me of the wonderful chewy pralines I always get when I visit New Orleans (these really are more related to a toffee or an oatmeal praline than a cookie, due to the minimal amount of flour used). I’ve now placed them in a glass baking dish with wax paper between the layers….we’ll see what their consistency is like when my guests come this afternoon. When I find the original recipe I used (buried somewhere on my desk), it will be interesting to see the differences. I don’t recall that recipe containing any egg, but it’s been years since I last made it. So far I consider these cookies a huge success. Only took me about a half hour to make 30 cookies I love that your recipe gives instructions on making the batter ahead and freezing it…I may need to try that when I just want a quick couple of cookies for guests the next day. Thank you so much for sharing! I’m glad you found this and are enjoying them! They’ve been a favorite for us for many years! Thanks! They turned out GREAT! For Valentine’s day, I make Rolo pretzel turtles for my boyfriend. This year I wanted to add something similar and “candy like” with them. 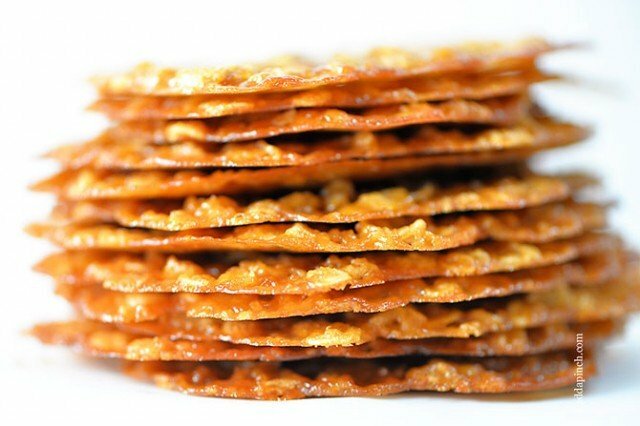 I love these and the recipe is so quick and easy, plus it yields a lot of treats..I decided to keep the theme of the salty and sweet with these , so when they were almost done, I topped them with a pretzel and OH my GOOODNESS! it tasted amazzing! Also, they looked very pretty. Try it! You will not regret it! MMmm. Mmmm. Very delicious. I tried some with orange zest and really loved those, too. These are insanely delicious and so easy. I cut the recipe in half and it took about 8 minutes baking time. New favorite cookie in our house. Thank you! Yes, you can use dark brown sugar. The cookies will have a deeper molasses flavor and will be a bit darker. Just made these today as a surprise for my gluten intolerant soon to be daughter in law. When you said they really spread….you weren’t kidding lol. I made them about half the size i would normally make cookies and they still spread so much they filled the entire bottom of the cookie sheet! Never one to admit defeat, I just let them cool slightly and then cut into squares. 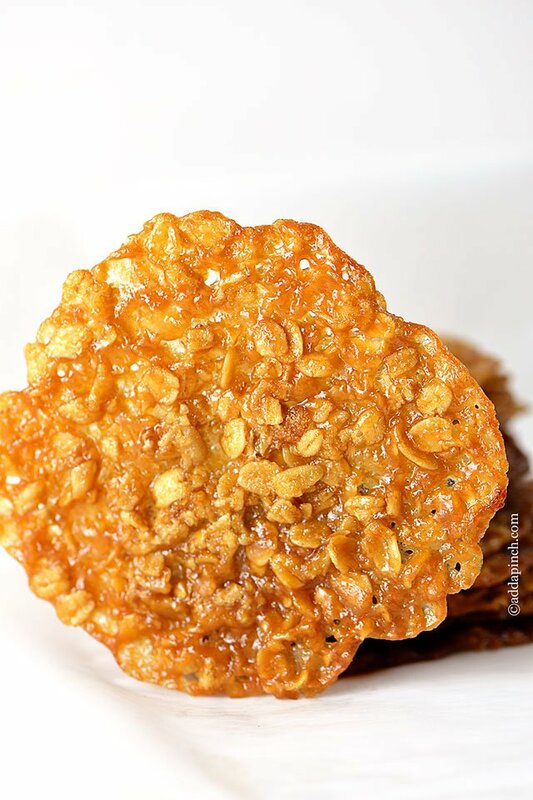 Unconventional shapes…maybe….delicious? DEFINITELY! lol Oh, and the switches I used to make these gluten free were simple – certified gluten free oats and all purpose GF flour. I think next time I’ll use my half teaspoon measure and only do maybe 8 per sheet…fingers crossed! You can not use steel cut oats in this recipe. I’ve made these about 5 times and this recipe is absolutely perfect as-is. Sometimes I add some extra Maldon salt to the tops. You can go from “I think make cookies” to ready to eat cookies in 20 min including preheating with ingredients you probably already have. 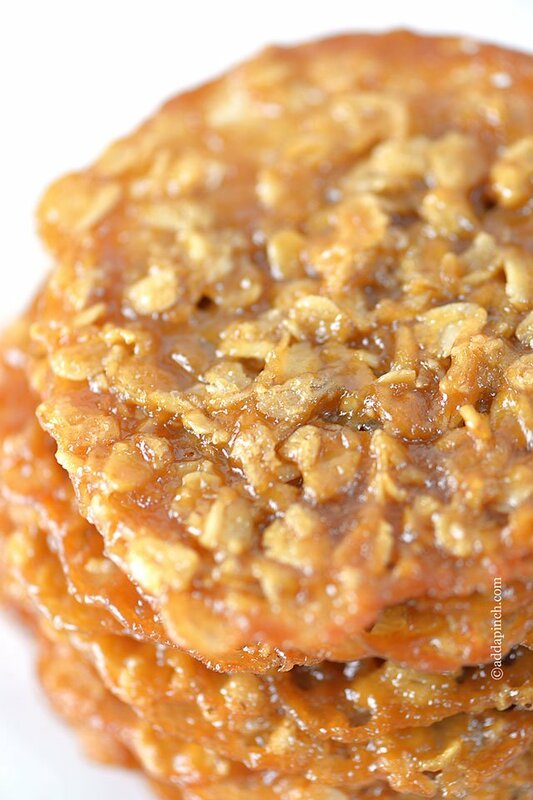 They’re incredible, come out perfect every time and could be called caramel cookies. Parchment paper is 100% necessary, you cannot make these without it, even on the best non-stick pan. These are so simple to make and they are heavenly! I’m so glad you enjoy them. They have always been a family favorite! I had this recipe years ago and lost it. I was so glad to find it again. But it looked like something was missing. I’m sure my recipe had baking soda in it. At the very end of mixing everything is when I added the soda. It got all puffy. And it did make a big difference in the texture. But, they are good just better with the soda. Thank you for posting. I’m excited to try these! My recipe for “English Lace” is similar but uses cream of tartar, coconut, and a bit of light corn syrup. Can’t wait to compare! Perfection. I got so many complements on these and a couple of threats from dieting friends LOL. These are delicious.. I can’t keep my grandson out of them. Question on rolled oats. Can you use Quick oats? Lace cookies are my favorite Christmas cookies too! My mom got her recipe from an old better homes and gardens Christmas edition from the early 80s. Our recipe is similar, but it has a small amount of corn syrup and no eggs. 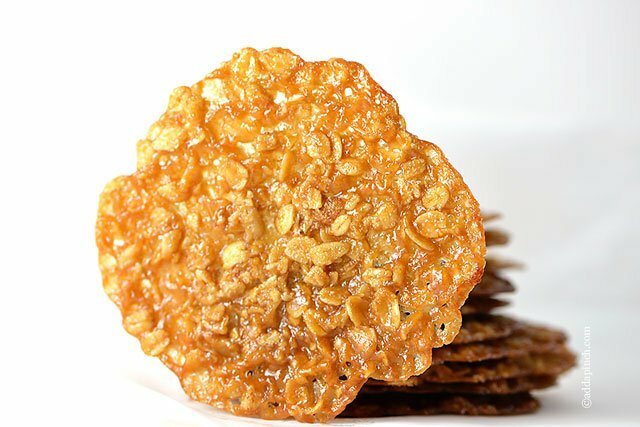 We use these to make florentines by melting semisweet or bittersweet chocolate and sandwhiching between two cookies, which I highly recommend. They are Sooooo good! I will have to try this one sometime, they look delicious! Great recipe! BUT I used Quick Oats since I didn’t have Old Fashioned on hand. I made it an even 3 cups of quick oats and kept everything the same. I drizzled milk chocolate over the top of them after baking-Delish!!! Can you please tell if we can substitute the oats with steel cut ones? I’m craving these and I only the steel cut ones at home! I’ve not made these with steel cut oats, Tooba. I don’t think the steel cut oats will give the desired outcome in this particular recipe though. Thanks! Which oats do you use? I have 1-min and old fashioned on hand. Thanks!! !